Kidney stones will affect 1 in 20 individuals during their lifetime. Patients usually complain of back and flank pain, as well as nausea and vomiting when they are trying to pass a kidney stone. Most of these will pass naturally without the need for surgical intervention and initial treatment is focused on pain control. 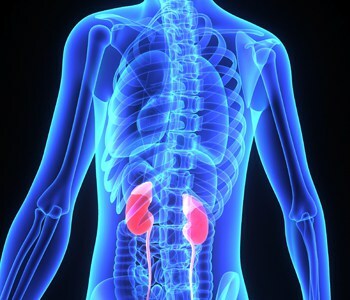 Sometimes stones are too large to pass or they may become stuck in the ureter (urinary ducts that connect the kidneys to the bladder). For patients who are unable to pass their kidney stones, there are several minimally invasive approaches to treating these depending on their size and location. If you have a stone that is not ideal for ESWL, your surgeon may use a laser to break up the stones. During this procedure, the surgeon guides a tiny camera into the urinary tract, and then inserts a laser fiber through the scope. “I use the fiber to directly transmit the laser energy to the stone, which breaks it into smaller pieces so I can remove them with a small basket.” Patients are usually sent home after the procedure. One of the most important aspects of managing patients with a history of kidney stones is to identify and correct risk factors, which predispose them to stone formation. “This is done with a metabolic workup, which includes several blood tests and a specialized urine collection. I also send the stone fragments to have them analyzed. Ninety percent of the time, the most important factor in preventing kidney stones is staying well hydrated. Other stone prevention tips include eating a balanced diet that is rich in vegetables and fiber, maintaining a healthy weight, and maintaining an active lifestyle,” says Galati.